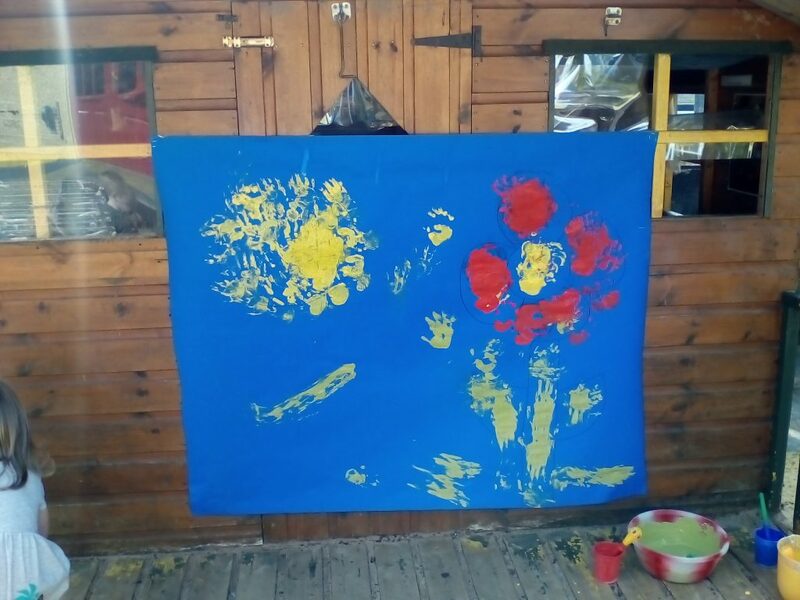 Following the lovely sunny weather we have recently had our Honey’s have been inspired to create a painting just as wonderful. Roisin gave clear, direct instructions to the children around working together and taking turns using the paint. We used our large scale mark making skills together with our imaginations to create our masterpiece. Well done Honey’s!